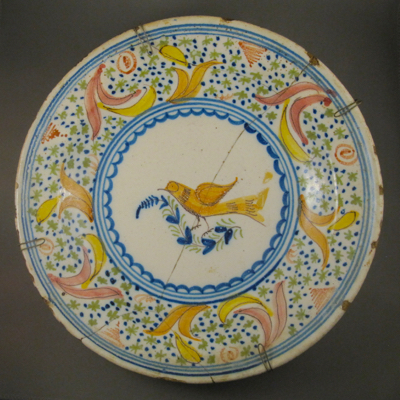 Wishing you peace in the New Year! 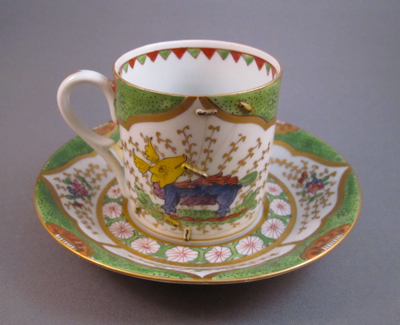 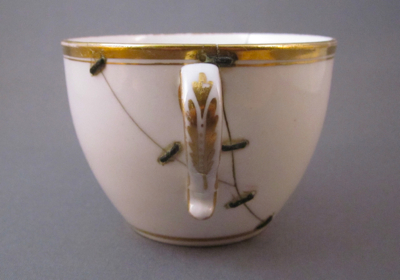 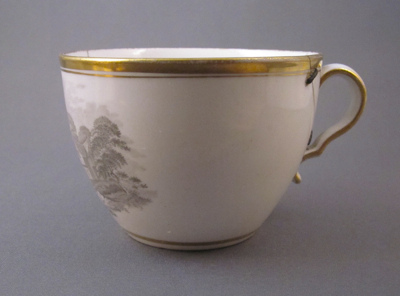 This handsome porcelain cup was made in England by Spode, circa 1820. 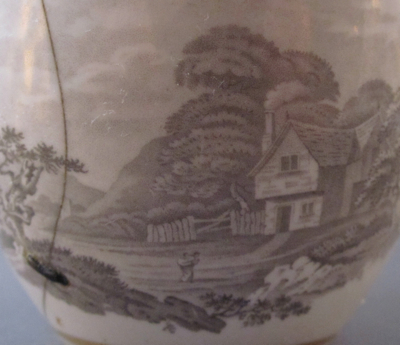 It is decorated with a bat printed pastoral scene of a person approaching a cottage, with gilt trim at top and bottom. 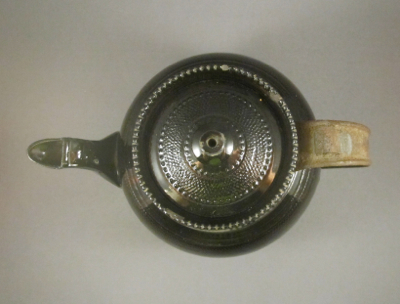 It measures 2-1/4″ high, with an opening of 3-1/4″. 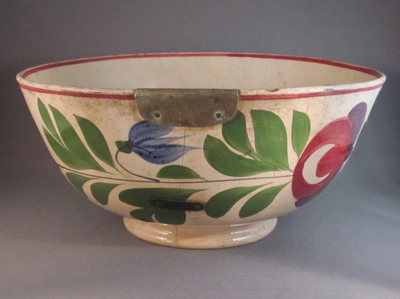 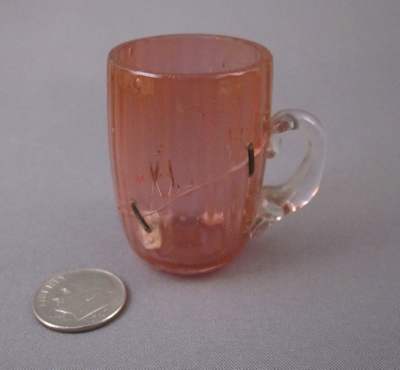 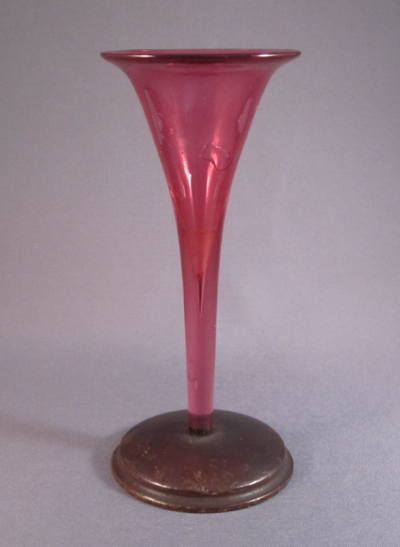 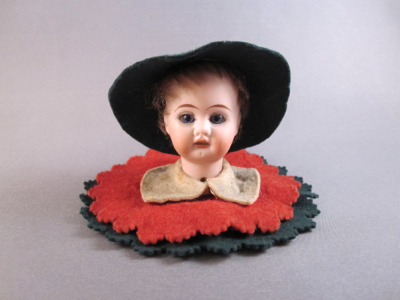 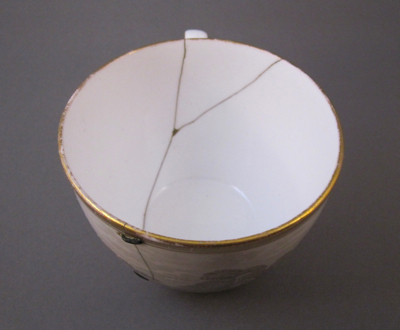 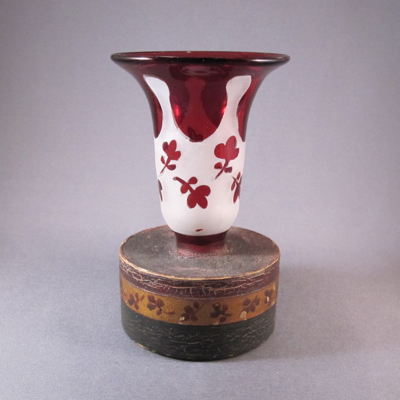 At some point in the 1800s the cup was dropped and broke into three pieces. 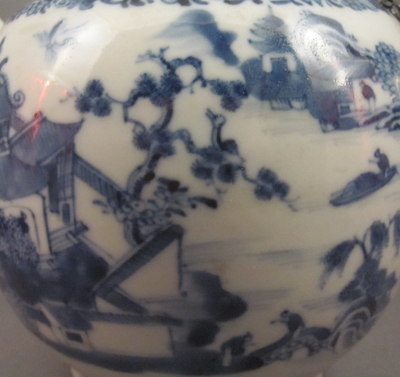 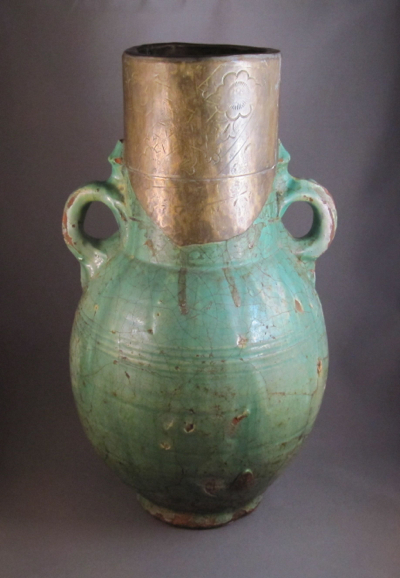 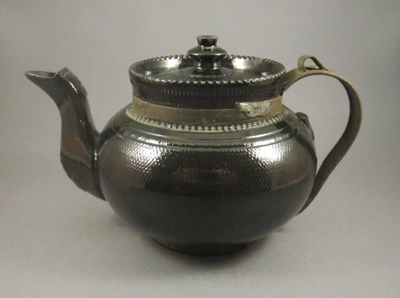 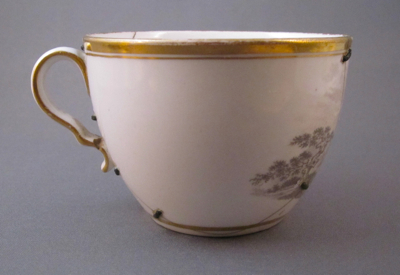 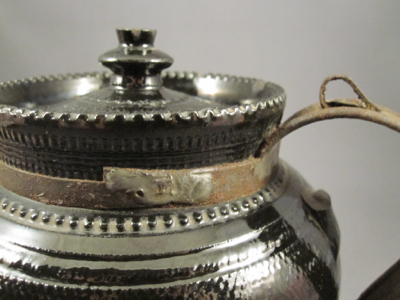 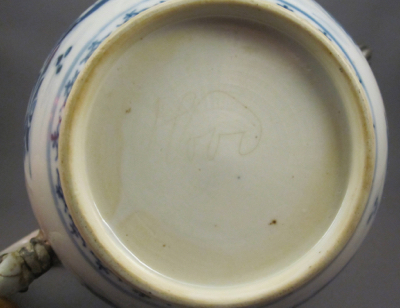 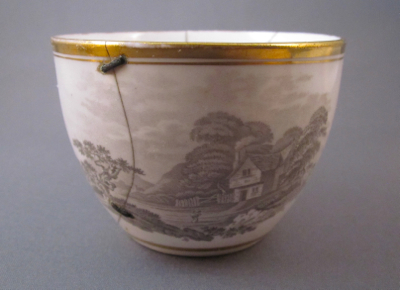 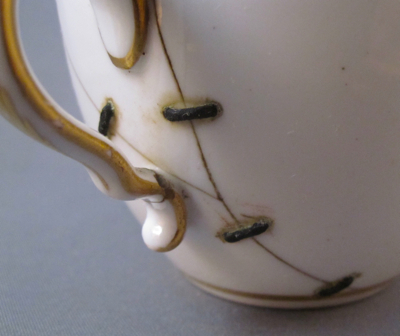 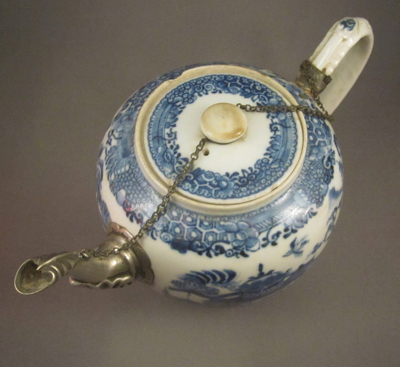 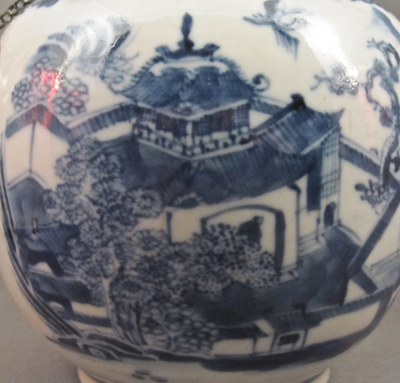 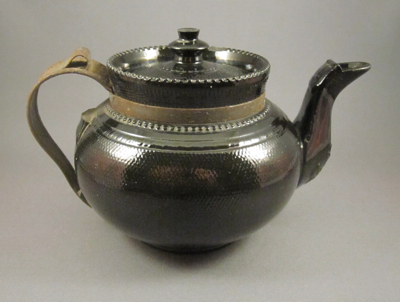 A china mender with a steady hand used eight tiny brass staples to hold the cup back together. 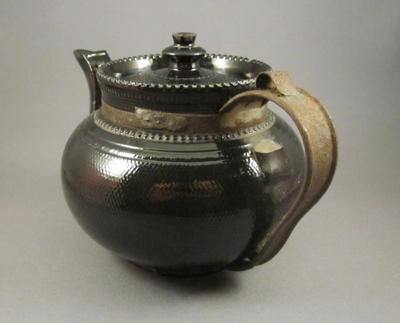 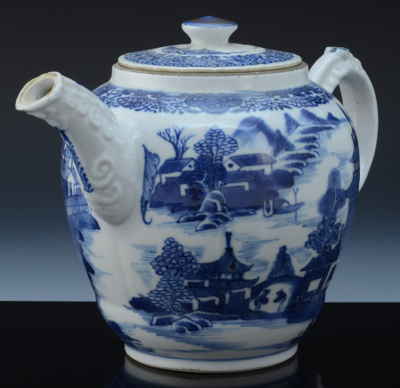 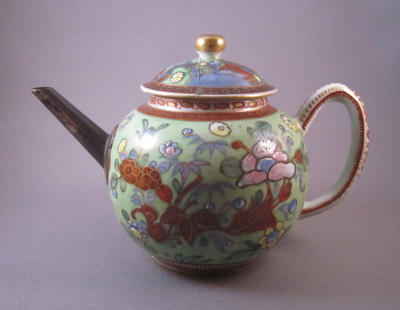 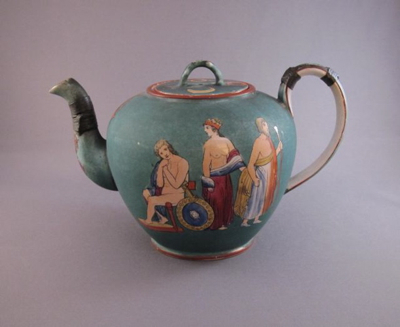 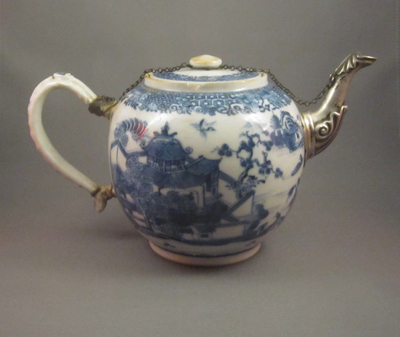 This small earthenware pottery teapot with squat round shape was made in England during the first quarter of the 19th century. 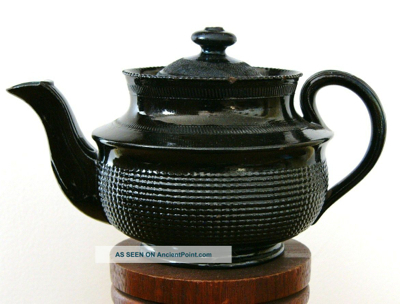 It has a black glaze, aka Jackfiend and Egyptian black, and stands 4-1/2″ high. 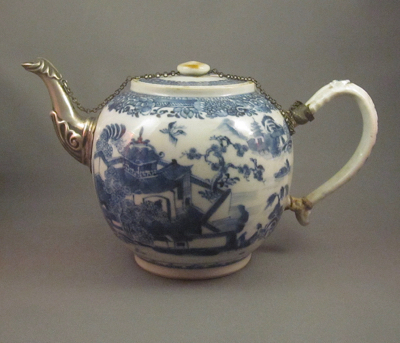 Due to its small size it is known as both a Bachelor’s and a one-cup teapot. 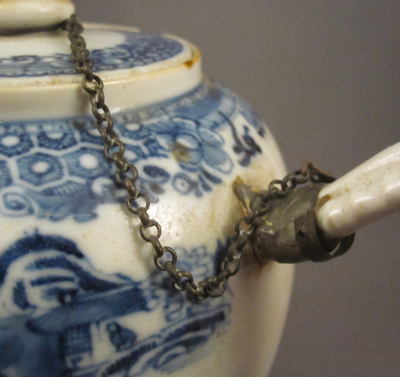 Some collectors and dealers believe that these tiny teapots are miniatures or part of a child’s tea set, but they are actually functioning teapots. 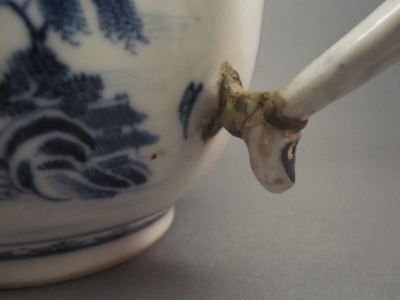 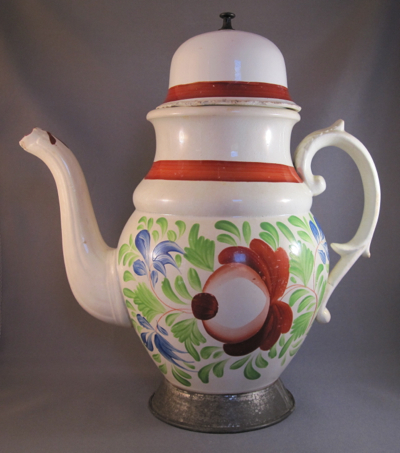 By now my readers know that the main reason I purchased this teapot is due to its early replacement handle. 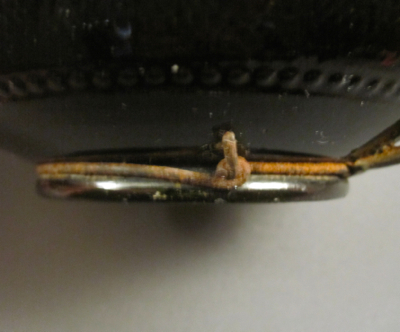 Made by a tinker in the 19th century, the workmanship is a bit crude, as is evident by the malaligned horizontal band laden with excess soldier and the twisted wire support around the base. 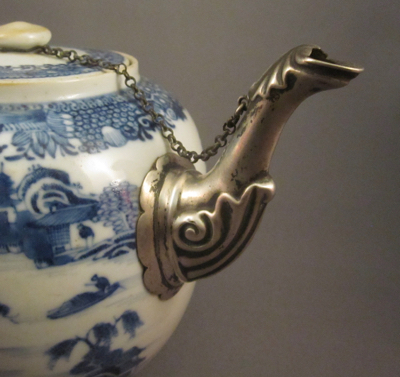 But even a funny looking tiny teapot with a clunky metal repair is better than burning your fingers on a teapot with no handle.